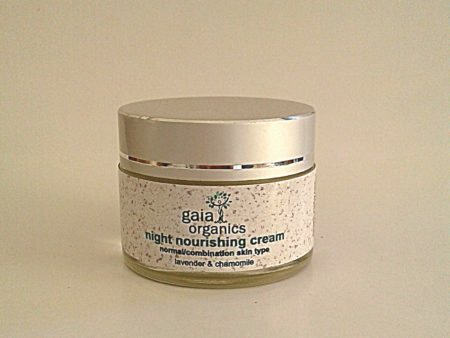 This cream is especially concerned with providing ingredients to assist the body in its natural healing and regeneration, whilst protecting against night- time dehydration and suitable for normal/combination skins. Directions: Apply a small smear to the skin after applying the appropriately typed AHA toner, whilst skin is moist. Contains: A specially formulated low oxidation-potential aqueous cream base, Cold-pressed Coconut, Jojoba, Flax Seed, & primrose oils, vitamins A, C & E, Vegetable glycerine, Green Tea, Comfrey Allantoin, Centella, Aloe Ferox, Kombucha [selenium] & Kelp [iodine] extracts, Panthenol and essential oils of Lavender, Geranium & German Chamomile.